Originally built in 1542, this historic landmark is situated in the city of Puebla, Mexico, is close to many of the city's most popular attractions, and offers comfortable accommodations. The Hotel Posada San Pedro is ideally located only minutes from many popular points of interest. A variety of museums, churches, restaurants and unique stores are in close proximity. Guests at the Hotel Posada can relax in the spacious outdoor swimming pool, work out in the on-site fitness center or relax with a beverage at the hotel's restaurant and bar. Near the FINSA Industrial Park in Puebla, and just minutes from attractions and recreational activities, this hotel offers convenient facilities such as a full-service restaurant and bar. Fiesta Inn Puebla is surrounded by golf courses and hiking opportunities. Guests can have fun at the Valle Fantástico Amusement Park or explore the African Safari Zoo. The Cholula archeological site is also nearby. Guests will enjoy a daily breakfast buffet with regional dishes at Puebla Fiesta Inn. Cafe La Fiesta, located on-site, also offers lunch and dinner menus. After a busy day, visitors can relax with a drink at the casual Lobby Bar. About 60 miles southeast of Mexico City, this brand new NH property is located just steps away from the magnificent and historic center of Puebla, nominated “Cultural Heritage of Humanity”; it also within walking distance of the downtown area, main shopping centers and industrial parks of this Colonial city. NH Puebla’s 128 rooms are finely furnished with vanguard décor, complimented with fine cuisine and state-of-the-art technology. For business or for pleasure NH’s “Eye for Detail” service will make your trip a wonderful experience. Located in central Puebla de Zaragoza, this hotel is opposite Zócalo Puebla, one block from La Básilica Catedral de Puebla. It features a restaurant, bar and spacious rooms with free Wi-Fi. Decorated with bright, airy spaces and wooden furniture, Hotel Royalty Puebla welcomes guests with a daily continental breakfast and a comfortable outdoor terrace looking out toward the city. Royalty Puebla Restaurant and Bar opens daily, serving an array of international and regional dishes. The bar offers cocktails as well as a vast variety of domestic and imported wines. Rooms at Puebla Royalty Hotel are furnished with a satellite TV and private bathroom. Work can be done at the large desk and each room has a safety deposit box. The windows open to views of the city or lush greenery. Zona Histórical de Los Fuertes is 11 minutes from Hotel Royalty Puebla. Club de Golf Las Fuentes is 7.5 km away. Set in the heart of Puebla's downtown historic district, surrounded by colonial-style architecture and attractions such as the Puebla Cathedral, this hotel offers guestrooms with modern amenities. Hotel Puebla Plaza is near the excitement of the Alley of the Frogs, known for its antique shops and vibrant nightlife. A variety of museums and colonial homes is also nearby. Each of the 48 guestrooms at the Plaza Puebla Hotel features comforts such as telephones and TVs. Located on the grounds of a historic 1500s wheat mill, this charming boutique hotel combines old-world charm with modern amenities and provides comfortable accommodations and easy access to area attractions. Hotel Hacienda del Molino offers a tranquil location nestled among lush forests in San Jose del Puente. Guests at the historic hotel can easily discover the famous Talvaera pottery artists, hike Popocatepetl volcano or play a ground of golf at La Huerta Golf Club. Guests at the Hacienda del Molino can enjoy a walk through the on-site gardens or a relaxing swim in the swimming pool, open 24-hours a day. The hotel also offers on-site dining options as well as high-speed internet access and spacious banquet facilities. This hotel is in Puebla, Mexico, near the Puebla Cathedral. The hotel has an outdoor swimming pool, free Wi-Fi and an on-site restaurant. La Purificadora features iPod docking stations and flat-screen TVs in every guest room. Some rooms have private balconies. Guests can use the fitness center or the hot tub at the Purificadora. The hotel's restaurant serves Mexican cuisine in a casual setting. Guests can browse the bakeries and candy shops on nearby Calle de los Dulces. Walking tours are also available near the hotel. Presidente Puebla hotel offers spectacular views of the Popocatepetl and Iztaccihuatl volcanoes. The hotel has an outdoor swimming pool and 24-hour fitness centre. It is 4.5 km from the city centre. The InterContinental’s stylish rooms have air conditioning and private bathrooms with amenities. All rooms have a 32-inch TV and pay-per-view films. There is a fingerprint safety deposit box and mini-bar in every room. La Cocina de Los Angles restaurant serves both Mexican and international food. There is also an Italian restaurant, and a lobby bar with live music. InterContinental Presidente Puebla offers free shuttle services to Finsa and Chachapa industrial parks. The Cholula archeological zone is 10 km away. The Hermanos Serdan International airport is a 30-minute drive away. Located 2 km from FINSA Business Park and 15 minutes’ drive from central Puebla, this modern hotel has free Wi-Fi and free parking. It offers an indoor pool, sauna, gym and whirlpool. Air-conditioned rooms at Holiday Inn Puebla-Parque Industrial Finsa feature cable TV and a work desk. There is a safe, minibar and coffee maker. The private bathroom comes with a hairdryer. The hotel’s steak restaurant, Angus, has an extensive wine selection. International cuisine is served in the Las Meninas restaurant. The Holiday Inn offers easy access to the Mexico-Puebla Motorway, and you can drive to Mexico City in less than 1.5 hours. A short drive from the historical centre of Puebla, this hotel has an indoor pool and daily hot breakfast buffet. The air-conditioned rooms have free Wi-Fi and a flat-screen cable TV. Holiday Inn Express Puebla features a well-equipped fitness centre. Guests can also take advantage of the hotel's business centre and free local phone calls. All rooms in the Holiday Inn Express Puebla offer tea and coffee-making facilities and work desks. They also have a private bathroom with free toiletries. While staying at the Puebla Holiday Inn Express, guests can easily visit the Cholula Pyramid and the Cathedral of Puebla. The Africam Safari Zoo is just a short drive away. Surrounded by trees and 30, 000 m² of tropical gardens, the Marriott Puebla is set in a striking Mexican-style building in colonial Puebla. It offers 2 heated pools and a fitness centre. All contemporary rooms at the Marriott Puebla enjoy views of the gardens from the private balcony or terrace. They come with a flat-screen TV, marble bathroom and air conditioning. The historic centre of Puebla is just 10 minutes’ away by car, while Cholula is 15 minutes away. Las Fuentes Golf Course is 300 metres away and the Africam Safari Zoo is 25 km away. La Fonda Restaurant serves Mexican and international cuisine, while Factory Steak & Lobster specialises in meat and seafood dishes. Guests can also enjoy lunch and dinner at the hotel's Bar La Taberna, which offers live music on Wednesday, Thursday and Friday. Holiday Inn Puebla La Noria is centrally located next to La Noria Shopping Centre and Atoyac River. It offers an outdoor pool and 24-hour gym, as well as free Wi-Fi and free parking. Modern, air-conditioned rooms feature cable TV and a work desk and coffee maker. The private bathroom comes with a hairdryer and most have a hydromassage shower. The hotel has suites with kitchenettes. Breakfast is available in the hotel restaurant. Guests can also relax with a drink at the bar or in the lounge. Cholula Pyramid is 14 km from the hotel and you can drive to Africam Safari Park in 30 minutes. Located in Puebla Mexico, this boutique hotel is one block from the Puebla Cathedral. The hotel is a UNESCO World Heritage site and offers uniquely decorated suites and free Wi-Fi. Guest suites at the Hotel Boutique Casa De La Palma feature elegant wood furniture as well as paintings and statues by famous artists. All rooms are equipped with a coffee maker and cable TV. Hotel Boutique Casa De La Palma is a historic building with beautiful architecture. A gym and public computer are available on site and guests are provided an American breakfast in the dining room. The Business Center is only 4 blocks from the Hotel Boutique Casa De La Palma. The Historical Center and Museum of Religious Art are within a few blocks of the hotel. Many restaurants and Mexican markets are also nearby. This hotel is situated in the center of Puebla, México, only a 5-minute drive from the historic downtown center. The hotel features an outdoor pool, 2 restaurants and free Wi-Fi. Rooms at the Best Western Real de Puebla offer a safety deposit box, cable TV and a hair dryer. Select rooms have bathrobes and a minibar. Real de Puebla Best Western boasts a private auditorium that seats 170 people and a well-equipped gym with a sauna and personal instructor. A night club and business center featured. Bola Roja Restaurant offers traditional Mexican food and Talavera serves a full breakfast buffet. Guests can enjoy a drink and live music at La Galeria Lobby Bar. This Puebla Best Western is only a 5-minute drive to the National Museum of Mexican Railroads and 4 kms from the Puebla Convention Center. The African Safari Zoo is a 40-minute drive away. This hotel in Puebla is 2 miles from the Zona Histórica de Los Fuertes. It features an on-site restaurant and guest rooms with free Wi-Fi. Hotel Mision Arcangel Puebla rooms are individually climate controlled and include a flat-screen TV. Each is also equipped with an in-room safe. 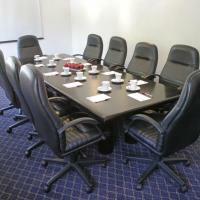 A business center and a conference room are available at Puebla Hotel Mision Arcangel. Free parking is possible on site. Mision Arcangel Hotel Puebla is within a 10 minute drive from downtown. Puebla International Airport is 13 miles away. Located in central Puebla, this hotel is a 10 minute drive from Fort Loreto and Fort Guadalupe. It features an on-site restaurant, gym, and rooms with free Wi-Fi and cable TV. The rooms at Hotel San Angel feature parquet floors and a private balcony. Each one comes with a private bathroom, a work desk and an iron. The San Angel serves a continental breakfast every morning. Aldi’s Restaurant serves traditional regional food. The Art District is a 20 minute drive from Hotel San Angel, and you can drive to the Africam Safari Zoo Park in 35 minutes. Free parking is available. This modern hotel offers an outdoor pool, a sauna and gym. The bright, air conditioned rooms include free Wi-Fi and flat-screen cable TV. Puebla is a 15-minute drive away. 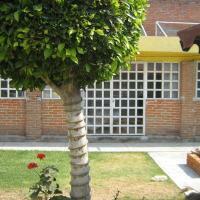 Courtyard Puebla Las Animas is next to Las Ánimas Shopping Center. Zócolo Square and Puebla Cathedral are around 3 miles from the hotel. Africam Safari Park is a 30-minute drive away. Rooms at Courtyard Puebla Las Animas are decorated in light colors and include a sitting area and a safe. Each room has a fridge and tea and coffee-making facilities. Bathrooms include a hairdryer. The Courtyard Café serves American-style cuisine, and the hotel’s staff can also recommend nearby restaurants. Take-out meals and grocery delivery is available upon request. This hotel is located in central Puebla, 3 minutes’ drive from the city’s convention centre. It offers a gym, free Wi-Fi, free breakfast, and a free shuttle to destinations within 10 km. The air-conditioned rooms at the Cityexpress Puebla feature modern décor and light wood furniture. Each one has a TV and a private bathroom. The Cityexpress is 15 minutes’ drive from the 2000, 5 de Mayo and Resurección Business Parks. You can drive to Puebla Airport in around 30 minutes. There is free on-site parking and the hotel offers long distance phone call services. Featuring free Wi-Fi and a gym, Cityexpress Puebla Angelópolis is set in Plaza la Noria and next to the Atoyac River. It offers rooms with queen-size beds and flat-screen TVs. The Puebla Angelópolis features simple, modern décor with carpeted floors. Each of its air-conditioned rooms comes with cable TV. Guests can enjoy a continental breakfast in the Cityexpress’s dining room. There is a selection of bars and restaurants around Plaza Angelópolis, a 5-minute walk from the hotel. Puebla’s old town can be reached in 20 minutes, by foot and sights such as the city’s cathedral are less than 2 km away. Puebla International Airport is a 30-minute drive from the Cityexpress. The hotel offers long distance phone call services. Quinta Real Puebla is located in central Puebla, 5 minutes’ drive from the city’s convention centre and main shopping centres. It offers a Mexican restaurant, a bar with live music and air-conditioned rooms with satellite TV. The rooms at the Quinta Real Puebla feature hardwood or carpeted floors and dark wood furniture. Each one comes with a work desk and a private bathroom with a hairdryer. The Quinta Real is a 25-minute drive from the Cholula Pyramids. Puebla International Airport is 40 km away. Set beside a golf course in the La Vista district of Puebla de Zaragoza, this hotel offers a gym and spa. Air-conditioned rooms feature a laptop safe and satellite TV. The modern rooms at the Camino Real Puebla Angelopolis are carpeted. Each comes with a minibar and private bathroom. Most rooms overlook the golf course. A buffet breakfast is available, and guests can enjoy a meal in the Camino Real Puebla Angelopolis Hotel’s restaurant. Wi-Fi is available throughout the hotel for an extra charge. There is a business centre and concierge service, and on-site parking is offered for a supplement. Set in a 17th-century town house in Puebla’s old town, Hotel Puebla de Antaño is 100 metres from the city’s cathedral and Zócalo de Puebla Park. It offers free parking and features a gourmet restaurant. Each suite at the Puebla de Antaño has classic décor with tiled floors. All suites have a small seating area with a flat-screen TV and minibar. Guests can enjoy a range of Mexican cuisine in the Antaño’s restaurant. The penthouse bar offers views of Puebla Cathedral and old town. Free Wi-Fi is available here. The hotel is surrounded by charming colonial buildings and Puebla’s Santo Domingo Church is just 500 metres away. Puebla International Airport is a 30-minute drive from Hotel Antaño. Just 50 metres from the Zócalo, the city’s main square, La Alhondiga is located in one of the city’s oldest buildings. It offers free Wi-fi in public areas. Hotel La Alhondiga’s elegant rooms are air-conditioned and equipped with cable TV. All rooms have private bathrooms including a hairdryer and amenities. An American-style breakfast is served in La Alhondiga’s café-restaurant. Room service is also available. The Palafoxiana Library, the Amparo Museum and the House of Dolls are within 5 minutes’ walk of the hotel. The Cholula archaeological site is about 30 minutes’ drive away. Puebla International Airport is 35 km from the hotel. Hotel Granada is 4 km from central Puebla de Zaragoza. It offers free Wi-Fi, free on-site parking and 24-hour reception. Rooms come with a fan, cable TV and a private bathroom. All rooms at the Granada Hotel feature carpeted floors. Each includes a work desk and a fax. The private bathroom has a bath or shower. Breakfast is offered at the hotel and can be requested in your room. There is an à la carte restaurant, and the bar serves national and international drinks, as well as snacks. Luggage storage is available and the hotel has a tour desk. Los Fuertes Historic Zone is a 10-minute drive away. Cityexpress Puebla FINSA is next to Brisas Square in Puebla de Zaragoza. It offers a gym, free Wi-Fi and 24-hour reception. A free shuttle service within a 10 km radius of the hotel is available on request. Air-conditioned rooms feature flat-screen cable TV. Each comes with a private bathroom. The Puebla FINSA Hotel has a restaurant. A free continental breakfast is included in the room rate. A laundry service is offered. The city centre is a 10-minute drive away, and the hotel has free on-site parking. Each bright room at Posada Guadalupe offers free Wi-Fi, flat-screen satellite TV and a balcony with views of Puebla’s historic centre. The central Zócalo Square is just half a block away. Located in a typical colonial-style building, Hotel Posada Guadalupe has a central courtyard with a lounge area. Rooms have simple modern décor and include a seating area and a safe. The hotel’s 24-hour reception offers currency exchange and luggage storage services. Free public parking is available on site. The Los Fuertes Historical Zone is just a 5-minute drive from the hotel. Puebla’s main business district is a 10-minute drive away. This four-star hotel is located to the north of central Puebla, in the Zona Capu. It has a large indoor pool, small spa and a gym, and the rooms have free Wi-Fi. All of the spacious rooms in Hotel Plaza Poblana have tiled floors and wrought-iron furniture. They have cable TV and good-sized private bathrooms. The spa has a sauna and steam bath, and also offers massage. Around the pool are loungers. The restaurant serves a buffet breakfast, and à la carte meals at lunchtime and in the evenings. The dishes focus on traditional Mexican specialities. There is also a bar. The Plaza Poblana Hotel has a grand entrance lobby, and a shop selling traditional Mexican products. There is free on-site, covered parking. Located in a 17th century building, this non-smoking hotel offers a free continental breakfast, free Wi-Fi and free on-site parking. It is just 1 block from the Zócalo main square and cathedral. All rooms at Hotel De Talavera feature carpeted floors and a simple décor. They include cable TV, a telephone and wake-up service. The private bathroom with shower includes toiletries. The continental breakfast is served in the hotel coffee shop, and includes juice, coffee and toast with jam and butter. There are also several restaurants in the surrounding area. De Talavera hotel is 5 blocks, or 15 minutes’ walk, from the Centro de Convenciones. Hermanos Serdán International Airport is 35 km away. Set in the centre of Puebla, Sacristía de la Compañía offers attractive accommodation set around an interior courtyard. This charming hotel has an à la carte restaurant. Set in a 19th-century building, the Sacristía de la Compañía features brightly painted walls and antique furniture. All suites come with a sofa, a flat-screen TV and free Wi-Fi. Guests can enjoy Mexican cuisine in the Sacristía’s pretty restaurant. The hotel also offers cookery classes. The Compañia is set close to many popular landmarks in Puebla, a UNESCO World Heritage City. Zócalo Square is a 5-minute walk from the hotel, while the city’s cathedral is 600 metres away. Centrally located, 250 metres from Puebla Cathedral, Hostal Casona Poblana offers a rooftop sun terrace with city views. Set in a colonial building, it features free Wi-Fi, a massage service and 24-hour reception. 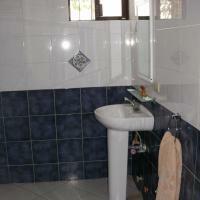 Accommodation is in private rooms with a bathroom, or dormitories with shared bathroom facilities. All overlook the patio and have a fan. Rooms also have a TV. A continental breakfast is available at the Casona Poblana guest house. There is also a communal kitchen for guest use. A library with books in several languages is also on offer. Hostal Santo Domingo is located in Puebla, just 1 block from Santo Domingo Church and Victoria Shopping Centre. It offers a 24-hour reception and rooms with free Wi-Fi and a bathroom. The Santo Domingo has a central courtyard with a snack bar where you can enjoy some food in a light, open space. Staff at reception can provide information about what to see and do in Puebla. You can drive to Puebla’s Interactive Museum in 10 minutes from Hostal Santo Domingo. Puebla Airport is a 35-minute drive away. This hotel is located in Puebla, just 12 minutes’ walk from the Plaza Dorada Shopping Centre. It offers simple rooms with cable TV and a private bathroom. Hotel Castellanos has a bar-restaurant serving traditional Mexican food. Laundry, dry cleaning and luggage storage facilities are also available. Puebla Cathedral and its main square are a 7-minute drive from the Castellanos. Puebla’s Interactive Museum is 10 minutes’ drive away. You can drive to Puebla Airport in under 40 minutes. Just a few metres from Zócalo Square, Hotel del Portal is located in Puebla’s charming old town. Set in a colonial-style building, it features a restaurant and free parking. Each room at Hotel del Portal has simple décor. All rooms come with cable TV and a fan and offer views of the nearby square. There is a range of cafes and bars in the streets surrounding the hotel. Puebla Cathedral is just 100 metres from the Portal, while the Amparo Museum is a 5-minute walk away. Centrally located in Puebla de Zaragoza, Hotel Señorial is 5 minutes’ walk from the Cathedral and Zócalo Main Square. It offers free Wi-Fi in public areas and has a 24-hour reception. Bright, modern rooms come with a fan and cable TV, some flat-screen. There is a work desk and the private bathroom comes with a hairdryer and toiletries. The Señorial Hotel has an à la carte restaurant, set in a charming garden courtyard. Room service is also available. Luggage storage is offered at the hotel. Free on-site parking is available and must be reserved. A free Wi-Fi zone, a 24-hour reception and bright rooms with cable TV and private bathrooms are offered at this simple hotel. It is located next to Puebla’s Hospital de Especialidades San José. Hotel Casa de Oración San José Puebla is situated a 15-minute walk from Puebla Cathedral and Zócalo Square. The Los Fuertes Historical Zone is only 600 metres from the hotel. A varied daily breakfast is available in the restaurant at Hotel Casa de Oración. You can also find a range of cafés, bars and restaurants within a 5-minute walk. Free public parking is offered at the hotel. Staff are happy to provide information about Puebla. They can also arrange airport transfers, at an extra cost. Offering suites surrounded by gardens, Hotel Boutique Casareyna is set in a charming 16th-century house. Located in the UNESCO World Heritage Site of Puebla, it features a restaurant and art gallery. Each spacious, air-conditioned suite at Hotel Boutique Casareyna has attractive, modern décor. All suites come with free Wi-Fi, a flat-screen TV and an iPod docking station. Guests can enjoy a continental breakfast in the Casareyna’s restaurant, which serves Mexican dishes for dinner, such as Mole Poblano. The hotel is 1 km from Puebla Cathedral and Zócalo Square. The hotel offers a free shuttle service around Puebla's old town. The hotel is located right in front of the Paseo San Francisco Shopping Centre, behind Puebla's Convention Centre. Located 6.5 km from central Puebla and 25 minutes’ drive from Huejotzingo Airport, Hotel Puente Real offers 24-hour reception, free Wi-Fi and free parking. Rooms feature a seating area with a sofa and flat-screen cable TV. There is a separate dining area and a private bathroom with a bath tub and shower. Guests can enjoy a drink or a meal in the Puente Real Hotel’s bar and restaurant. The hotel offers a dry cleaning and ironing service. Las Fuentes Golf Course is a 5-minute drive away. Set in the UNESCO World Heritage Site of Puebla, Hotel del Paseo is a 10-minute walk from the city’s cathedral. It features an interior patio, free Wi-Fi and free parking. Hotel del Paseo has simple décor. Each room has cable TV and a shared bathroom. There are restaurants, cafes and bars within 10 minutes’ walk of the Paseo. Zócalo Square is less than 1 km away. The hotel is set next to Paseo Bravo, a charming boulevard. Puebla’s Amparo Museum is a 15-minute walk away. Featuring attractive rooms set around a pretty interior courtyard, Hotel Casa del Callejón is a 5-minute walk from Zócalo Square. 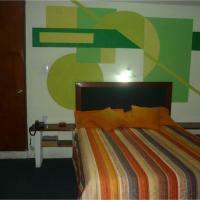 This brightly coloured hotel offers easy access to Heroes del 5 de Mayo Motorway. Each room at Hotel Casa del Callejón has colonial-style décor with tiled floors and wooden furnishings. Some rooms have a French balcony overlooking the street or courtyard. All accommodation has free Wi-Fi, a coffee maker and TV. Guests can enjoy breakfast in the Callejón’s dining room. There is a selection of restaurants and bars around Zócalo Square. Puebla Cathedral is 500 metres from the Casa del Callejón. The city’s airport can be reached in 30 minutes by car. This hotel with outdoor hot tub is 2 blocks from the city’s main square. 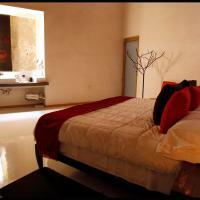 It offers views of the Puebla de los Ángeles Cathedral and has elegant rooms with free Wi-Fi. El Sueño Hotel & Spa includes a hot tub, solarium and steam room, as well as 2 massage cabins. Guests can choose from a wide range of massage and beauty treatments. All room at El Sueño Hotel & Spa feature a minimalist décor and include some original features of the 18th-century residence. The private bathroom with shower includes toiletries. The hotel restaurant has a terrace and is open for breakfast, lunch and dinner. There is snack bar and room service is also available. Hotel staff can provide more information about sights and activities in the surrounding area, including nearby archaeological sites. Hermanos Serdán International Airport is 35.5 km away. This modern hotel is located opposite Puebla’s Palacio de Hierro shopping centre. It has an indoor swimming pool, free Wi-Fi and free onsite parking. The restaurant offers panoramic city views. All air-conditioned rooms at La Quinta Inn & Suites Puebla Palmas feature an elegant décor with carpeted floors. Each includes a flat-screen TV, free local calls and a private bathroom with a shower. The hotel restaurant serves typical regional cuisine and offers spectacular views over the city of Puebla and the surrounding mountains. There is also a bar and a drinks vending machine. There is a 24-hour reception desk, free business centre and ATM machine at La Quinta Inn & Suites. The hotel also offers a car rental, dry cleaning and shuttle service at an additional cost. Puebla’s Main Square is about 20 minutes’ drive away and the International Airport can be reached in about 30 minutes by car. Located on the historic centre of Puebla, this hotel is a restored house from the 19th century. Hotel San Leonardo offers air-conditioned rooms and an outdoor pool, just 3 minutes’ walk from the Cathedral. The San Leonardo features a French-style décor throughout, with long curtains and candelabra lamps. The spacious rooms feature parquet floors and marble bathrooms. Each comes with a Cable TV and free Wi-Fi. The restaurant serves Mexican cuisine and traditional dishes. It offers breakfast, lunch and dinner. The bar also offers a selection of drinks and snacks. El Zócalo main square is 100 metres from Hotel San Leonardo, and major cathedrals and museums are within walking distance. The Puebla International Airport is a 35-minutes’ drive. Offering a spa with a traditional outdoor sauna, this hotel is located on the historic centre of Puebla. Casona San Antonio is 200 metres from the Cathedral and the main square. Casona San Antonio is a restored colonial house from the 18th century, featuring a typical central patio with archways and stone walls. The rooms feature a modern décor in warm colours and have free Wi-Fi. Each comes with a 32” flat-screen TV and a private bathroom with free toiletries, bathrobes and slippers. El Capricho De San Antonio Restaurant serves contemporary Mexican cuisine and fine desserts, while the modern Bar Lisboa offers cocktails and national drinks. The accommodation is 50 metres from the Amparo Museum, the most important art museum in the city. Main colonial buildings are within walking distance, while Puebla International Airport is a 40-minute drive. Hotel Villa Florida Puebla is a 10-minute drive from the centre of Puebla. It offers a gym, hot tub and indoor pool, as well as 24-hour reception, free Wi-Fi and free on-site parking. Air-conditioned rooms and suites have a sofa, safe and cable TV. There is a desk and the private bathroom comes with a shower and toiletries. Mexican and international cuisine is offered in the restaurant, as well as a buffet breakfast. Room service is available and there is also a bar and vending machines for drinks and snacks. A laundry, dry cleaning and ironing service is available. The hotel has a tour desk and offers luggage storage. Located next to Las Animas Shopping Centre, this modern hotel offers an outdoor pool, a gym, a free Wi-Fi area and free parking. Each air-conditioned room features a flat-screen TV with cable channels. Fiesta Inn Puebla Las Animas is situated in Puebla’s modern Juan Pablo II business district. It is a 20-minute drive from the charming colonial city centre, a UNESCO World Heritage Site. La Isla restaurant is situated in the spacious open-plan lounge. It serves a daily buffet breakfast, à la carte meals and 24-hour snacks. There is a small shop, a self-service café and a bar. 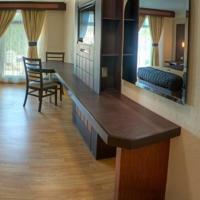 Rooms at the Fiesta Inn Puebla Las Animas have bright, functional décor and a work desk. All rooms offer a coffee maker and a modern bathroom with free toiletries. 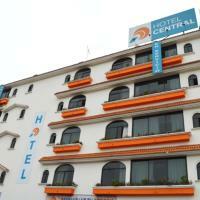 Hotel Central is located in northern Puebla, 15 minutes’ drive from the city centre. It offers a 24-hour reception and simple rooms with free Wi-Fi, cable TV and a private bathroom. The hotel’s restaurant serves traditional Mexican food. There is also a bar. Free parking is available on site. You can drive to Puebla’s cathedral and main square in 20 minutes. Mexico City and its airport are around 1 hour and 20 minutes’ drive away. This hotel is located in the historic centre of Puebla, just 10 minutes’ walk from the main square and a 5-minute walk from O’Jenkins Convention Centre. It offers free on-site parking. All rooms at Loa Inn Puebla feature a smart décor with parquet floors. Each has a large double bed and a private bathroom with shower including toiletries. The hotel restaurant serves local, regional and international food. You can enjoy a buffet breakfast and there is also a snack bar. The hotel offers a shuttle service within Puebla and its surroundings, as well as to Mexico City and its international airport. This service can be requested in advance and has an extra cost. Casa Bugambilias is located a 15-minute drive from the historic centre of Puebla. It offers a free Wi-Fi zone and all rooms feature views of the garden. Each room has 2 double beds and a TV. A fan is available upon request. The private bathroom comes with a shower and free toiletries. A laundry service is offered and a trouser press is available. Babysitting can be arranged and the tour desk offers an airport shuttle service for an extra charge. Angelópolis Shopping Centre is 5 minutes’ drive away. Hotel Condesa Americana Puebla is located just a 10-minute drive from the historic centre of Puebla. It offers free Wi-Fi, free private parking and functional rooms with cable TV. Each simple, colourful room at the Condesa Americana Puebla features a fan, a telephone and a radio. The private bathrooms include a shower and free toiletries. A light continental breakfast of coffee, toast and butter or jam is available. You can also order room service directly from local restaurants. 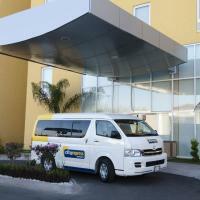 The hotel’s 24-hour reception can arrange car hire and provide information about Puebla. The cathedral and colonial city centre are a 15-minute drive away. Puebla Convention Centre is 2.5 km away.